This project uses the tools of modern finance and risk management to measure and model environmental risks. Environmental risks can be thought of as long run risks which naturally influence portfolio decisions including insurance. This study examines publicly traded environmental portfolios and develops portfolios which will be published on the widely viewed and celebrated web site — www.vlab.stern.nyu.edu. The volatility of such portfolios will be a measure of the new information on environmental risk. If investors hold these assets, then the cost of capital will be lower for firms in long positions in these portfolios and will be higher for those that are shorted. Because the benefits of these portfolio strategies and of associated public policies are in the distant future, the benefits must be discounted back to the present. The discount rate is extremely important in this calculation. We are carrying out new research that will improve our estimates of the discount rate using modern finance tools. Robert Engle, the Michael Armellino Professor of Finance at New York University Stern School of Business, was awarded the 2003 Nobel Prize in Economics for his research on the concept of autoregressive conditional heteroskedasticity (ARCH). Professor Engle is the Director of the NYU Stern Volatility Institute and a co-founding president of the Society for Financial Econometrics (SoFiE), a global non-profit organization housed at NYU. Before joining NYU Stern in 2000, he was Chancellor's Associates Professor and Economics Department Chair at the University of California, San Diego and Associate Professor of Economics at MIT. 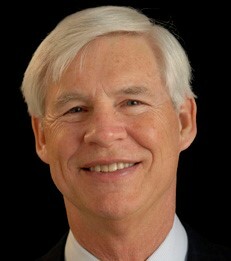 He is a member of the National Academy of Science.